My visit to Hong Kong in May 2016 was the third time for me. In June 2010, my aunt’s family, my cousin, my parents, my siblings and I went to Macau and Hong Kong but we didn’t visit so many places. 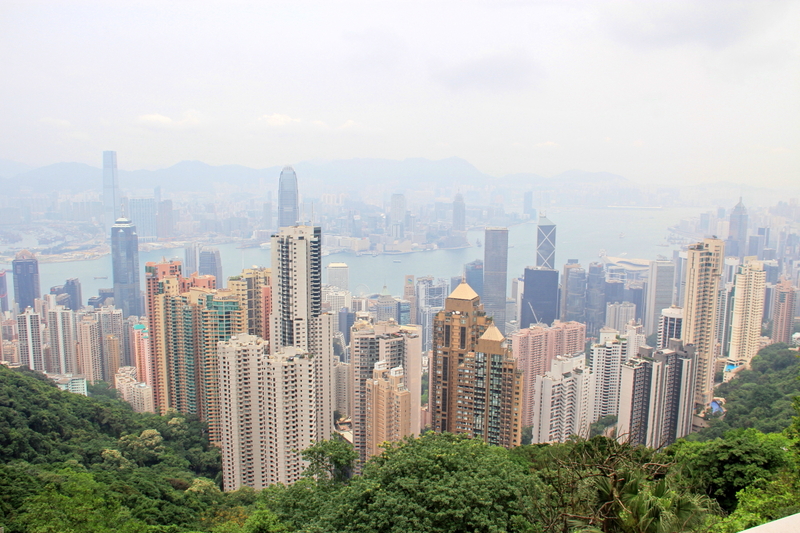 We visited only 2 places in Hong Kong: The Peak and Disneyland. My aunt led the way and we just followed along. The ambitious me felt like I didn’t taste the real Hong Kong. Therefore, 8 months later, in Feb 2011, I went to HK for my second visit with my friend. My second visit was jam-packed with those must-visit places in HK and Macau. I thought that I had enough of HK, and that the high density population and high living expenses are inhumane. But somehow, 5 years later, HK is calling out to me. I want to be honest, I am lured by its food culture and extensive trails. I have tasted certain HK food chain here in Singapore and I’m hooked (hello Jenny Bakery, Tim Ho Wan). I’m starting to feel that I need to visit this special region again to validate my previous assumption that the city is indeed inhumane. This time, I’m going with my sister. Here is my itinerary of 6 days in Hong Kong. Here is my cost of 6 days in Hong Kong. Best Western Harbour View Hotel – This hotel is right at Sai Ying Pun. The best things about this hotel: the location is served by tram which is a cheaper transport mode compared to MTR or bus; there is so much good food around; the hotel is walking distance from MTR station. Dorsett Tsuen Wan – This hotel is not too near to MTR, they provide shuttle bus, but we usually just walk from MTR to the hotel. The best thing is definitely the free mobile phone with free data and overseas call, how wonderful! Another great thing is, the room is pretty spacious. Despite the crazy human density, HK food and trails are really exceptional. Prior to the trip, I was making a long list of food to eat, and I can happily say that I eat most of the food from my list, some of them are Michelin starred street food. When I researched about trails in HK, I was overwhelmed by the number of available trails and their distances. My time in HK didn’t allow me to do a lot of hiking, so I have strong reason to go back someday. I do feel that HK always deserves second or third chance to fully show its charm to travelers. Hi great itinerary. Just curious why you changed hotels?Could you not see the same places on Day 5/6 if you continued to stay at Best Western? Thanks Eva for the prompt reply. Can you please help me out with the total cost. The individual cost do not sum up tot he total cost your mentioned. Hi Jay, you might not have noticed that several items are in HKD and others are in SGD. Hope it helps! Hello Eva, I will be travelling to Hk with family on this new year.Can you tell me, is there any sales tax on things we purchase in Hk. And if there is, can we get the tax back when we leave and how? Hi Jaydee, from what I understand, there isn’t any tax imposed on most goods, except alcohol and tobacco. So, you are not paying tax when you buy goods in HK. Therefore, no refund too.